Captivating and inspirational, this remarkable documentary by Argentinian film-makers Lucas Marcheggiano, Eduardo de la Serna and Adriana Yurcovich focuses on veteran DIY filmmaker Daniel Burmeister. Armed with one of several ready-to-use scripts, Burmeister arrives at a remote Argentinian village in his rickety car. He asks the village authorities for permission to shoot his latest feature film there, using residents of the village as cast and crew; he asks only for lodging and meals until his film’s release a month later. The offer accepted, the making of the film becomes the most important event to take place in the village during that month – and a testament to the power of art to draw together a community. 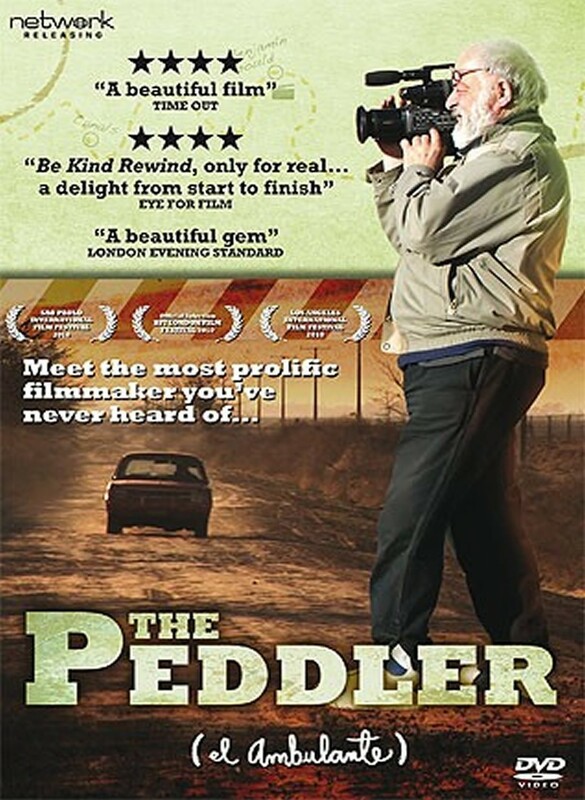 The winner of several international awards, The Peddler continues to garner huge acclaim for its honest portrayal of the enthusiasm, optimism and resourcefulness of a genuine auteur, and the joyous, sometimes chaotic process of film-making itself. SPECIAL FEATURES: Three short British films made in the spirit of Daniel Burmeister, along with an introduction by Eduardo de la Serna.